The last time Seefeld organized the Ski World Championships was in 1985. Now, in 2019, our Brand Heroes stand on the starting line of Seefeld again – this time with a Dæhlie race suit. 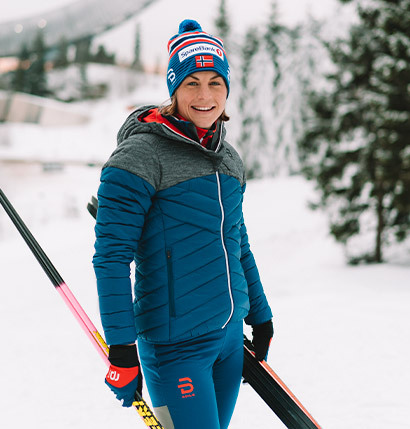 Dæhlie is the proud official clothing provider of the Norwegian Cross Country Ski team, whether it is during the training or racing season, 365 days a year. On Thursday the 21st of February 2019, our Brand Heroes will be on their marks. They will be ready to turn all their long training hours into positions they can be proud of. They will make great memories and write their names in ski history. We want you to share these memories and get to experience our World Championship collection. Get to experience our World Championship collection.